Terry is a very good instructor. He has a great way of explaining what you need to know to make you a better driver. 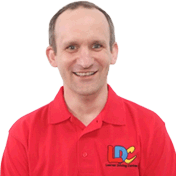 The LDC workbook was another really good addition, it helps you to get through all the theoretical work at home so you get to spend more of your lesson time driving which Terry always seemed more than happy to allow. He will easily know if you've been using the book with a few quick questions! I passed my first attempt at the driving test after only 3 weeks and I would definitely recommend Terry as an instructor. 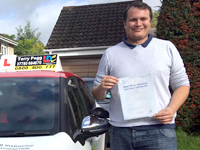 I'm a driving instructor in Chandlers Ford, Eastleigh, Southampton and Winchester..